Kelly's Kreative Korner: Screams Easter to Me!! 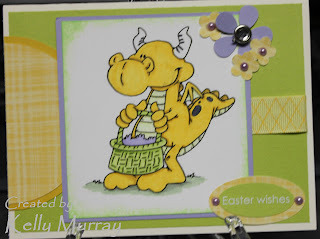 This card was created to qualify for Doodle Dragon Studio 4 Challenge - girly dragons, I chose a yellow dragon as I saw so many pink samples and wanted to do something different. That and I have had enough pink for a while with Valentine's just ending. When I colored this cutie, it made me think of an old cartoon I used to watch with my girls, Dragon Tales, and it made me wonder why I felt I had to color the dragons green as they certainly were every color on that show. I also used the sketch from Delightful Sketches for this card and the color combo from Copic Color Challenge 53. Back to bright colors!! This dragon is so cute, Dutin Pike right? I love the spring colors too. You did a good job on your card. :)) Thanks for joining DS. This totally screams easter to me!!!! I agree about the dragon thing too, DP's dragons look cute in blue and purple too, great card Kelly!!!! I agree Cathy, we've all had enough pinks lately. Kelly, way to pull these challenges together! Beautiful card! Glad to have you play with us at Delightful Sketches & Challenges! What a cute card.I love the spring colors. Me Too! (screams Easter) Your dragon is a cutie patootie!! Awww..this is just darling! Great image and colors! Thanks for playing along with us at Delightful Sketches and Challenges! Oh that image is just adorable and so is your card! Very sweet Easter card! Thanks for joining us at Doodle Dragon Studios! 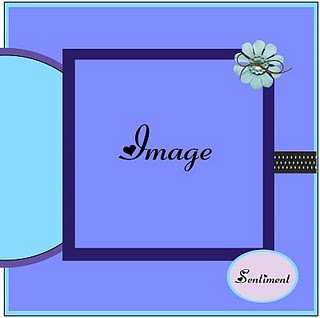 A fab card, lovely colours. Thanks for joining us at Delightful Sketches and Challenges. Great card and a super sweet image! Thanks for playing at Delightful Sketches and Challenges. Love your card!! thanks so much for joining us at Delightful sketches. Terrific card! Good to see you at Delightful Sketches and Challenges! Superb and cutie image too!! Thanks for joining us at Delightful Sketches and Challenges! !